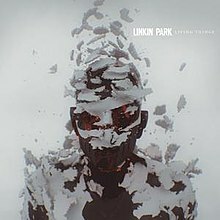 Windy City Banner: Album Review - Linkin Park, "Living Things"
Album Review - Linkin Park, "Living Things"
Living Things is the fifth album for the six member band Linkin Park. It was introduced with the single “Burn It Down,” a song lead with vibrantly exhilarating percussion and a powerful articulated style from main vocalist Chester Bennington. The song was just enough to show that the musical progression of the band still matches the overture appeal. Linkin Park’s Hybrid Theory album released in 2000, has always remained one of my favorite albums. The songs spun a fusion of music genres and became the embodiment of the edgy collaboration of grunge, hip hop, heavy metal and rap with the end result of nu metal. Hit singles from the album included “One Step Closer,” “Papercut” and “In the End” among others. They set the pathway for what could become of this sub-genre, and did so with honest poetry and pumping instrumentation that intensely seeped into the soul. In 2003 the band released their sophomore album Meteora with just as many hit singles, proceeding side projects involved with Hybrid Theory. In 2004 they indulged into the rap core-sound with the release of Collision Course affiliating with rapper Jay-Z. One thing is clear after a few spins of Living Things – It manifests the conflicts of heart and emotion while maintaining a woven raging war. The first track on the record is “Lost in Echo” an electro feel and distorted mixes create the foundation for sentimental poetry to dance. They have produced one of the most insightful and experimental albums for the modern music scene. Their sound is not a picture for a PR-fitted frame instead it is risky and full of individuality. There isn’t one song on the album that is a misfit. For long time fans or for new peaks of interest, this album will you keep you dancing, raging and feeling in a new way.